Virtual Contact Centre Reliability and Uptime | 8x8, Inc.
We know contact centre uptime is critical for your business. Here’s how we keep you up and running. At 8x8, we know how crucial your contact centre is to your business and to your customer relationships. From the technological advancements that have been architected into the 8x8 Virtual Contact Centre network to the redundancy incorporated into our top tier data centres, our contact centre solution has a proven track record for providing over 99.99% uptime. 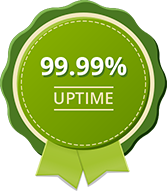 Translated, 99.99% uptime means your 8x8 Virtual Contact Centre solution is available and operational with less than 4 minutes of downtime per month (this includes scheduled maintenance and upgrades). 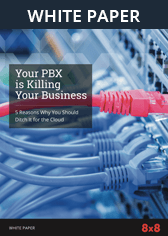 8x8’s method of managing reliability is truly unique to the industry and has set a new standard for how system maintenance and upgrades are managed in the cloud. 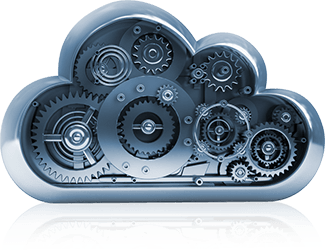 8x8’s patented Advanced Virtual Tenant Architecture™ (AVTA) enables us to keep your primary service platform running and operational while we perform scheduled maintenance and upgrade activities. 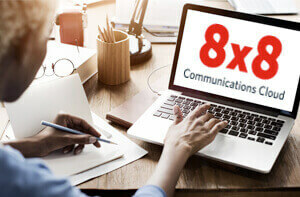 Unlike other contact centre providers that schedule regular and service-impacting downtimes, the 8x8 methodology keeps your contact centre online and in business. This is the true measure of a cloud-based service offering. Additional disaster preparedness options from 8x8 can provide you with the ability to remotely, via a simple web interface, reroute individual channels of customer communication (voice, chat, email, web callback) or to duplicate an entire iteration of your platform in an alternate geographical location or locations. Managing your contact centre reliability has become a whole lot easier with 8x8.